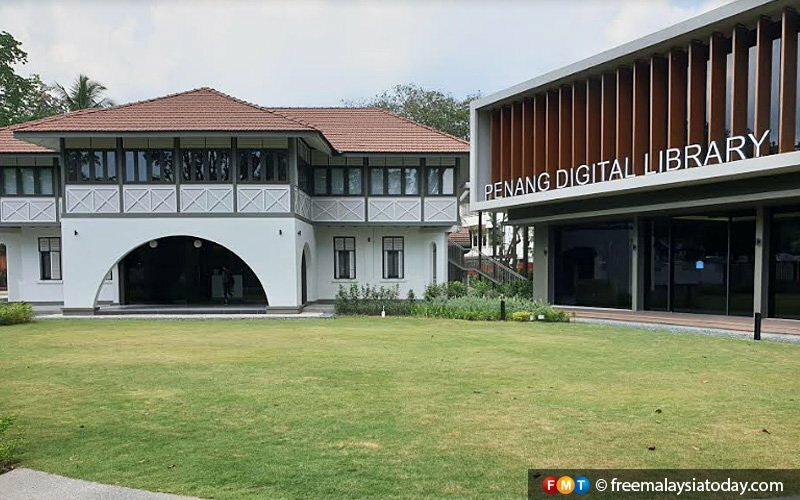 The mansion that was once the residence of Penang Free School’s headmaster turned into a digital library. 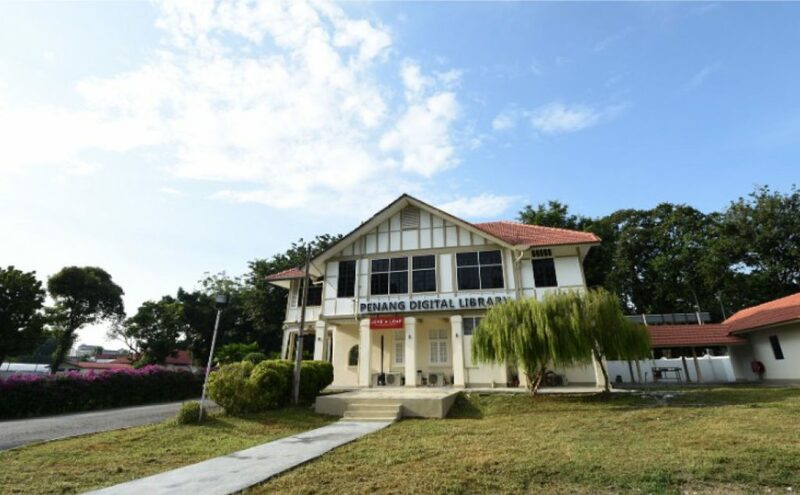 GEORGE TOWN: You’ve probably not been to Penang for some time if you think “digital library” means nothing more than an “online database of text and digital objects”. To proud Penangites, the term refers to an actual brick, mortar, glass and metal facility to which you go in order to get some reading done. But unlike in traditional physical libraries, there is not a single shelf of books and no stern-looking librarian sitting at a desk to say “Shh” if you sneeze or speak above a whisper. Instead, you go there to read ebooks on tablet computers that you can rent or on your own devices. 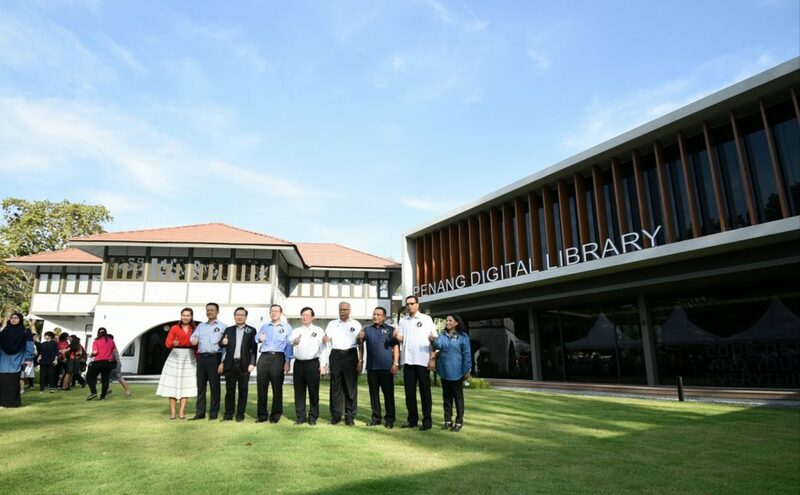 The Penang Digital Library has been around for a couple of years, but its Phase 2 was launched at the end of last month. 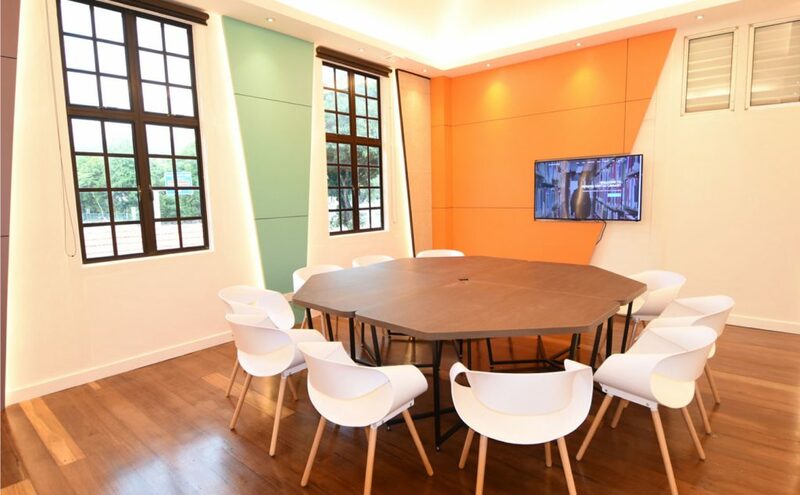 It vastly improves on Phase 1, a double-story building that was previously the residence of the Penang Free School’s headmaster. The Phase 1 building could hardly accommodate 80 people and was always crowded. That was why former chief minister Lim Guan Eng came up with the idea for Phase 2, which has seating for more than 500 people. The new phase was achieved by restoring another bungalow situated just across from the erstwhile headmaster’s residence. The two phases are melded seamlessly to realize such a marvel of architecture that even the most macho visitor probably can’t suppress his “oohs” and “aahs” as he enters the facilities and is greeted by the manicured lawn. You’ll have to excuse him if he thinks he has gone into a swanky holiday resort. The principal architect of the project, Tan Bee Eu, said the designers worked around the idea of building “a library in a park”. “The idea is to give an impression to users that they are in a garden, reading among trees and chirping birds,” she said in a recent interview. No space is wasted. 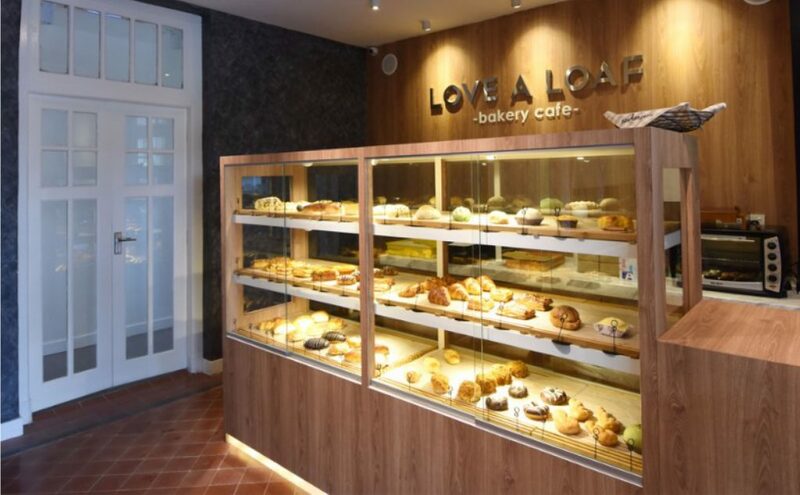 For example, what were once servants quarters are now a bakery and a restaurant, and the space between them and the library proper is an open walkway with room for those who prefer to do their reading in the open air, where they can hear the rustle of bamboo trees. There is also a pond to harvest rainwater to irrigate the plants. It is fashioned like a lake around a tree. Inside, there is a room for children to play in and “quiet booths” for those who find the clicking of keyboards too distracting. Upstairs, there are cubicles with power outlets and fast and free wireless internet. Every dedicated reading area has a window and relies mostly on natural lighting. Tan said the sun’s path was taken into consideration so as to not cause glare. Finance Minister Lim Guan Eng lounging inside the Phase 1 building. And gone is the extremely cold air-conditioning we associate with traditional libraries. Tan said the building is sufficiently cooled for comfort and for the preservation of the environment. Work on Phase 2 began in March last year, and Tan said she was proud that it was completed in just 10 months. The cost was RM10.8 million. 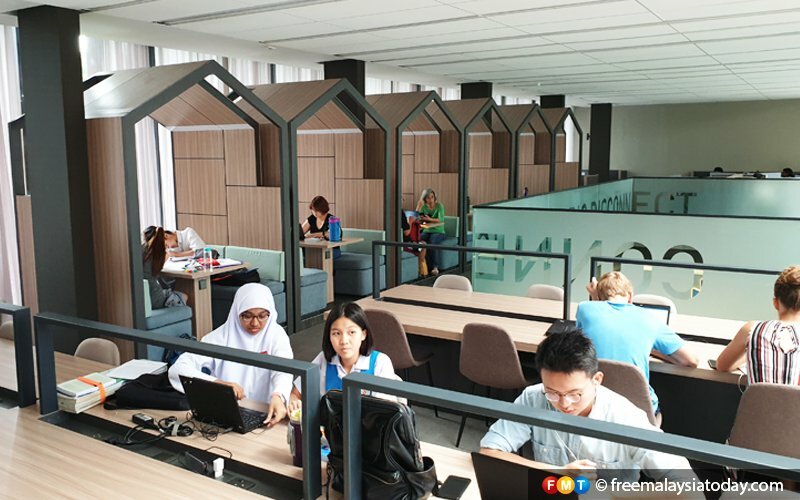 The library, which has already registered 4,000 members and houses more than 3,000 ebook titles, is operated by the state government and is free to use, although a small fee is charged for special functions and the use of meeting rooms. The Phase 2 facilities are open from 8am to 10pm daily, but Phase 1 is open 24 hours. Visitors can enter through Penang Free School’s main gate.